Looks like the good folks over at the Capcom unity site have announced the launch date for Super Street Fighter II Turbo ND Remix!. 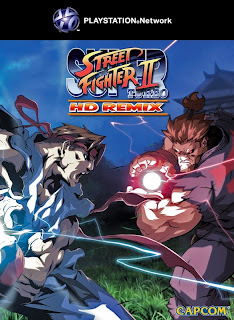 According to Capcom Unity long awaited Super Street Fighter II Turbo HD Remix will hit the PSN 11/25 and the NXE 11/26. It's been a long time coming but soon Ryu, Ken, Chun Li and the rest of the world warriors will be available in glorious redrawn sprites by Udon in crisp 1080p resolution!